The progressive urban planning projects of Bogotá, Colombia are celebrated globally as models of inclusion, poverty alleviation, and citizen participation. 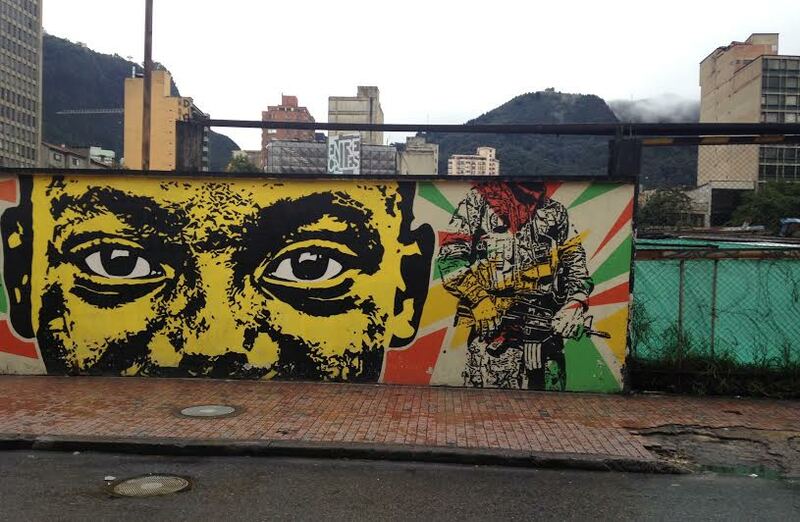 Yet Bogotá’s lauded urban programs are rarely discussed in relationship to the ongoing civil war. Urbanization in Colombia is produced by rural conflict, as internally displaced people and former combatants flee to cities like Bogotá, rapidly urbanizing the peripheries. In 2016, peace accords will end a half-century of civil war between the Colombian state and the Revolutionary Armed Forces of Colombia (the FARC). Anticipating a demobilization of guerrillas following the accords, municipal governments address ex-combatant reintegration as a problem of poverty and security, to be managed through frameworks of economic development and community health. American development aid and counterinsurgency experts also imagine the postwar city as the site of rehabilitation, repair, and prosperity. This research investigates the relationship between the management of poverty and the post-conflict, and asks how technologies of participation are enlisted to alleviate poverty and to generate social cohesion in the wake of world-altering violence. Produced and circulated through nodes of American empire—from Miami to Baghdad—U.S. post-conflict development aid in Colombia reveals the linked logics of counterinsurgency and development. At a moment of widespread optimism about participatory, city-scale interventions aimed at poverty alleviation and social repair, this research investigates the urban afterwar in “post-conflict” Bogotá.